Passionate about plants? Got green fingers? Ready to turn your love of gardening into a career? Here’s how. You love everything about horticulture from planting to pruning and, having considered the potential pitfalls when it comes to the weather, you’re looking to turn your hobby into your career. 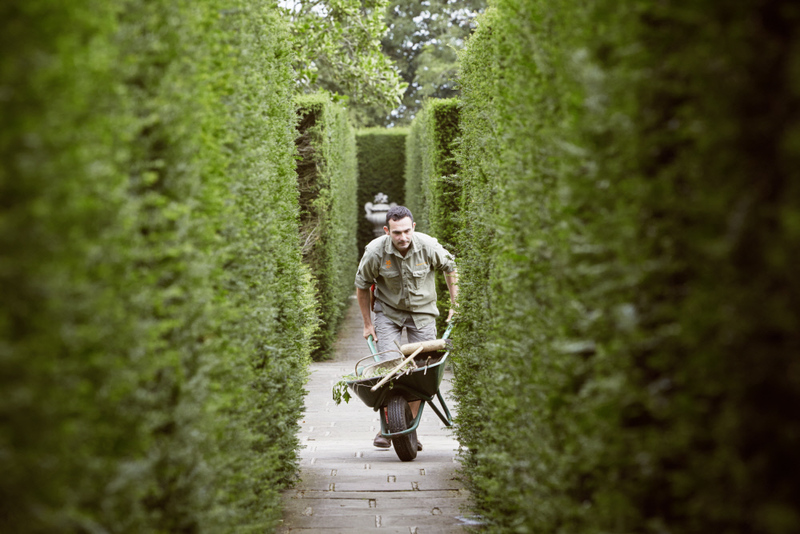 First things first, you need some experience under your (gardener’s) belt. Then you can find out for sure whether it’s for you, while gaining sought after practical skills along the way. The best place to get some gardening experience? Sign up to a Britain in Bloom group, enter a flower show, get volunteering or just get an allotment – anything that helps you stand out is great. Volunteering at the National Trust, English Heritage, the Royal Horticultural Society (RHS) or your local community gardens or farm is a fantastic place to start building up an interesting CV. As a garden volunteer at the National Trust you’ll have the opportunity to work in some of the country’s most unique outdoor places, on a scale or a project which might not be attainable in your own back garden. You could be involved in planting, pruning, cataloguing seeds, establishing boundaries, or supporting community groups to grow their own produce on some of our allotments. You’ll most likely be approached by visitors who want to ask questions about the garden or are looking for general gardening tips – so it’s also a great way to share your love for horticulture (and pick up some ideas of your own). Next up, you’ll need a qualification – it’s extremely rare to make it in horticulture on practical experience alone and most employers will expect you to have a good grounding in science and theory. The RHS offers a range of qualifications in a variety of areas to develop your horticultural knowledge and skills such as plant identification, tree planting, growing cuttings and landscaping. An apprenticeship is an ideal way of combining both aspects – and you’ll earn a basic working wage while you study! Places are highly sought after though so make sure you do your research and get some great experiences worth talking about. Alternatively the National Trust announced plans at the end of last year to step-up its commitment to heritage horticulture with the launch of its new Heritage Gardening Programme. The programme will offer comprehensive training for all of the conservation charity’s gardening roles, including volunteers, providing development opportunities within the organisation. Training will be complemented by internal bursaries that will allow gardeners to travel to other properties in order to acquire new skills. Likewise, the Historic and Botanic Garden Trainee Programmes (HBGTP) scheme is an unrivalled opportunity for passionate and committed horticulturists. You can earn a salary while developing your professional skills in some of the best historic and botanic gardens that the UK has to offer (including some of ours). Equipped with both practical experience and theoretical know-how you’ve the foundation for a fantastic horticultural career. From senior gardeners to seasonal volunteers, we’re always looking for great gardeners at the National Trust so if we’ve whet your appetite for volunteering with us or you want to find out more about our current gardening career opportunities, visit our gardening page.